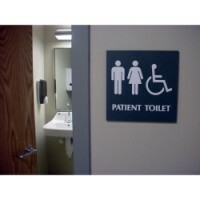 We can help your company develop a compliant ADA signage program that coordinates with the décor of your building. Over the years we have assisted various hospitals, hotels, government agencies, recreational parks, schools, and more to develop a comprehensive & attractive ADA solution. Contact SIGNARAMA today and let us help you with your ADA compliant directional signs and graphics.